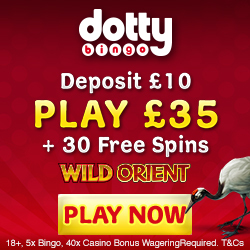 Mobile Bingo Bonuses love bingo sites that offer a great range of innovative gaming, incredible bonuses and a cupcake! Yep it’s true welcome to Cupcake Bingo. Launched in 2015 using Dragonfish software this sweet site gives so many impressive offers, we knew we had to tell you all about them. So here’s our list of the Cupcake Bingo promotions and a bit at the bottom about the other rewards available. For full details of the site you can head over to our Cupcake Bingo review and discover the joy of combining baking and bingo! 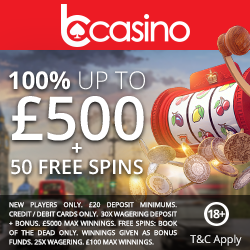 Play for £500 Every Day – Join Cupcake Bingo in their Daily Jackpot room, each day at 11pm. All you have to do is deposit a minimum £10 and you’ll receive automatic access to the room, where you can grab your extra tickets. Play for Sweet Treats – on the 15th of every month join Cupcake Bingo in their Sweet Treats room. The game starts at 9pm and tickets cost a mere 5p, with prizes varying from cook books, cupcake makers to bonuses and loyalty points. Non-stop Perks – Oh yes this is as good as it sounds! Cupcake Bingo will give you bingo perks every single day, with bonuses including extra coins, increased jackpots and bonus prizes; make sure you keep an eye out in the lobby. Everyone’s a Winner – How can this be, we hear you cry! Well simply pick up tickets for this fab bingo jackpot and you’ll be guaranteed a prize. Join the game on Thursday at 11pm and the full house winner will get £250, whilst everyone else will split the rest of the pot. Play for £1k Every Day – Cupcake Bingo give away £1,000 at 10pm daily in the Daily Thousand Jackpot room. With tickets a sweet £2 each for the 75 ball game, you could win anything up to the £1,000 prize. Super Millionaire – The luxury lifestyle is possible with Cupcake Bingos Super Millionaire Jackpot. On the third Saturday of every month at 11pm, the jackpot will begin at £1,000 and rise to a whopping £1,000,000. The Big 10 – On the last Friday of every month, join Cupcake Bingo at 10pm in their Big 10 Jackpot. The jackpot is a guaranteed £2,000 and tickets are just 30p. Penny Bonanza – At Cupcake Bingo a penny could get you up to £5,000, in their Penny Bonanza game. This takes place at 10pm on the third Wednesday of every month and there are winners for 1TG and 2TG places. Bingo Multiplier – Simply for joining Cupcake Bingo on a Saturday at 10pm you could watch a mega jackpot be multiplied. With a maximum prize of £10,000, do you really want to miss out? Plus you could win 50 extra tickets every Sunday when you play their side games at 11pm. If these Cupcake Bingo promotions aren’t enough, then you’re pretty greedy! But how about some of this? You can access these rewards simply by heading to Cupcake Bingo, what more can we say other than good luck and enjoy!